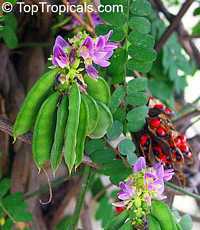 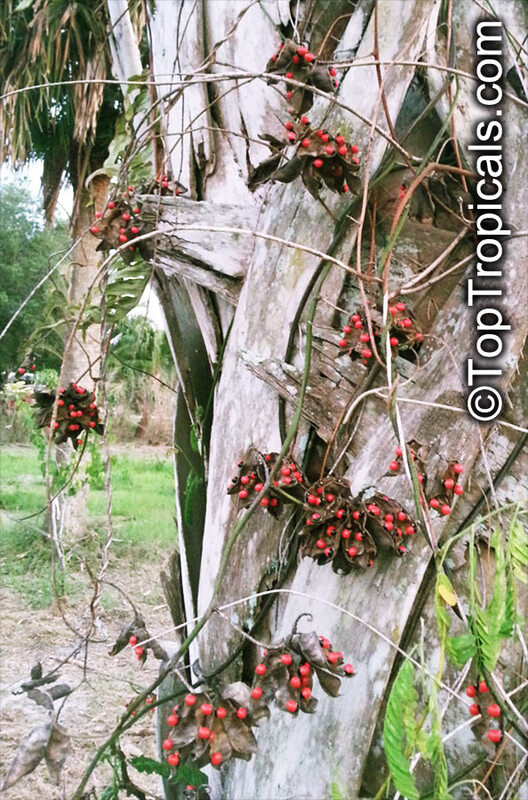 Abrus precatorius has small pretty purple flowers located at the end of the stalks. 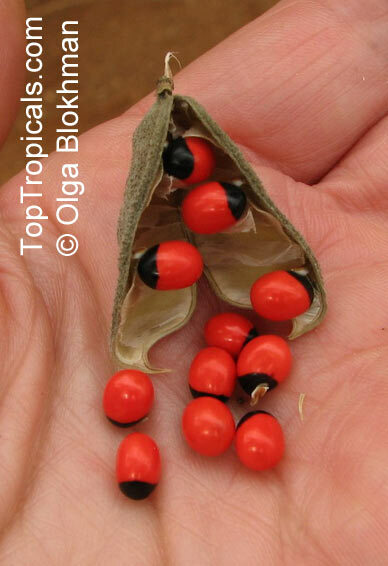 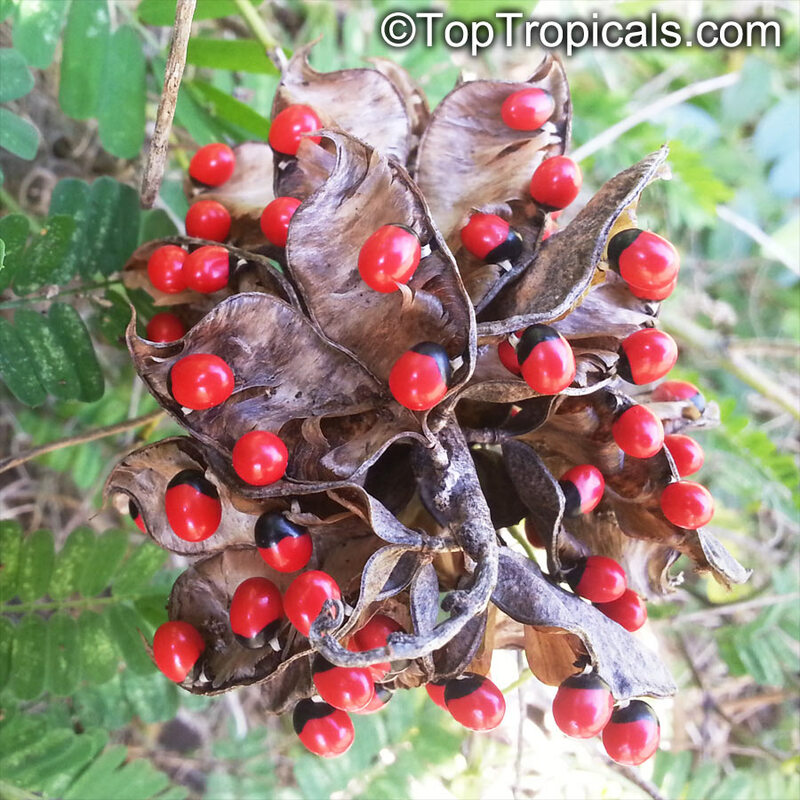 Fruits are short, inflated pods, splitting open when mature to reveal the round; hard and shiny seeds which are scarlet, but black at the base. 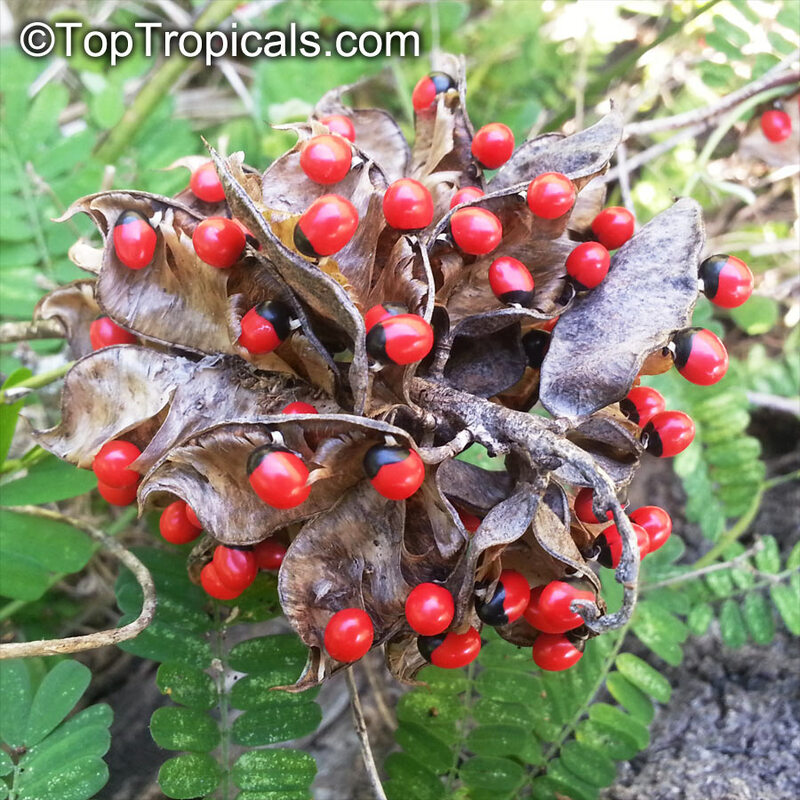 Seeds contain abrin, one of the most toxic plant poisons known. 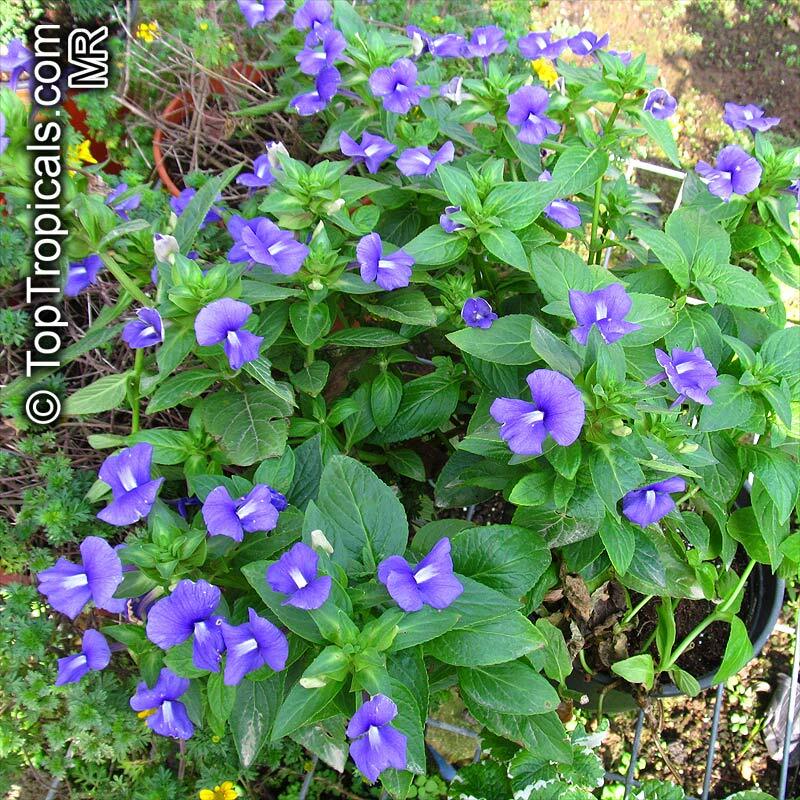 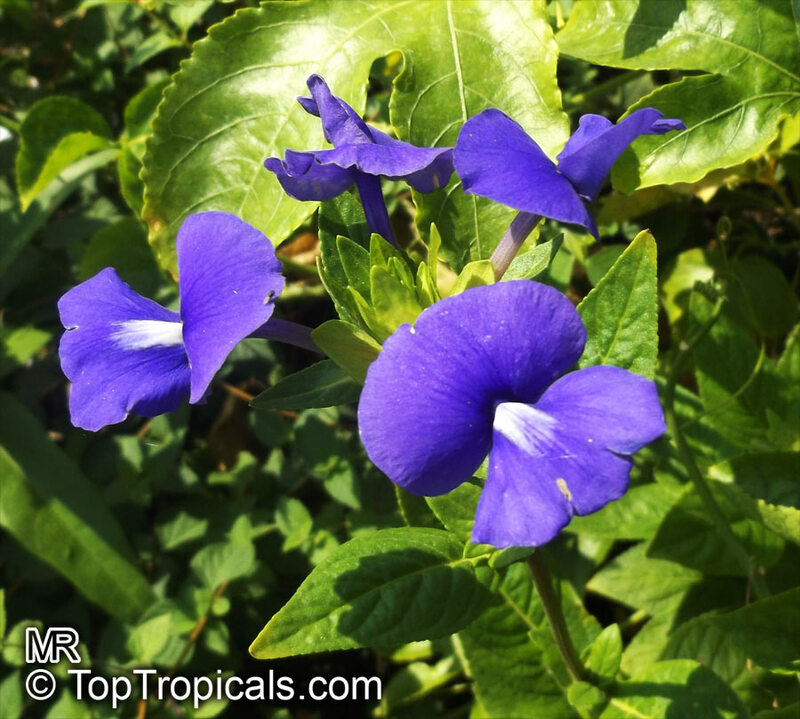 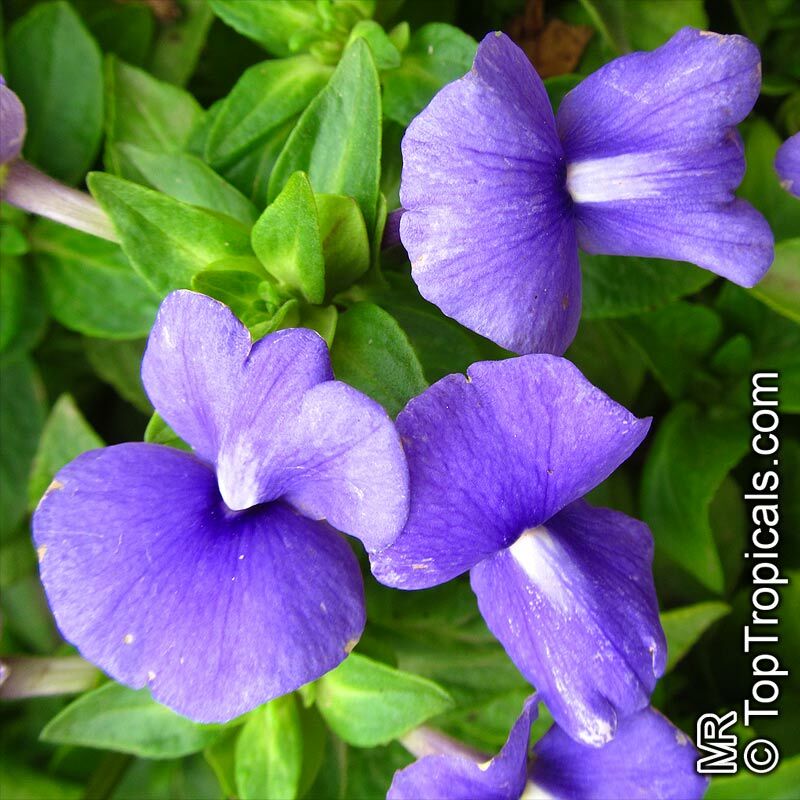 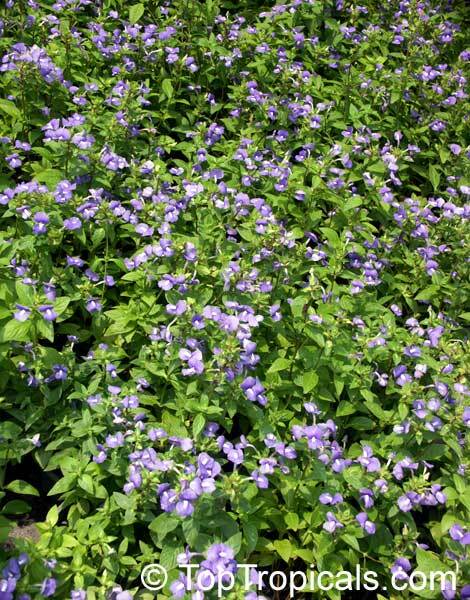 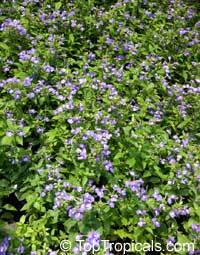 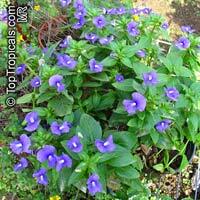 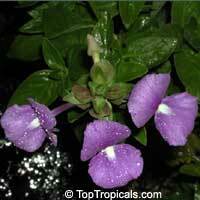 Free branching spreading small shrub with bluish mauve flowers with white eye. 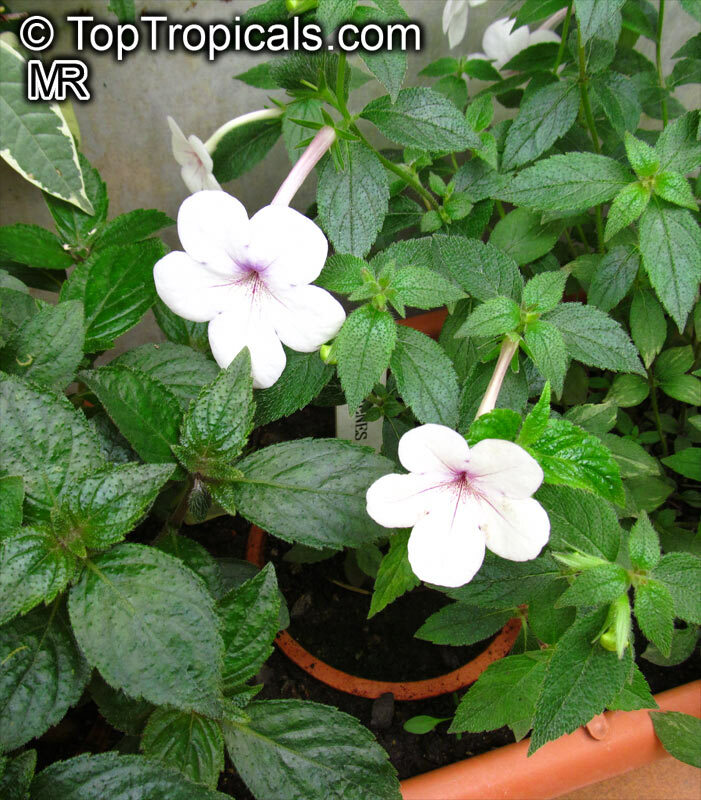 Leaves are very fragrant resembling pine scent. 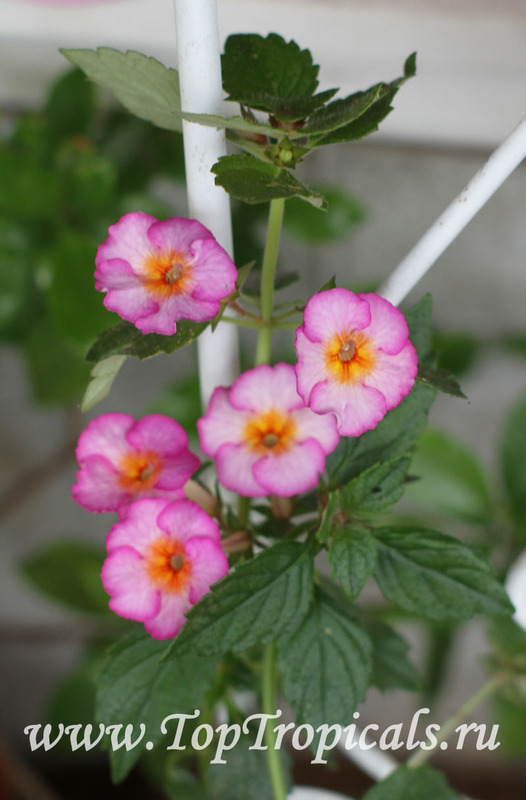 Everbloomer. Prefers acid soil. 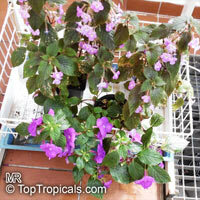 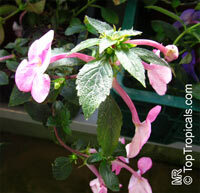 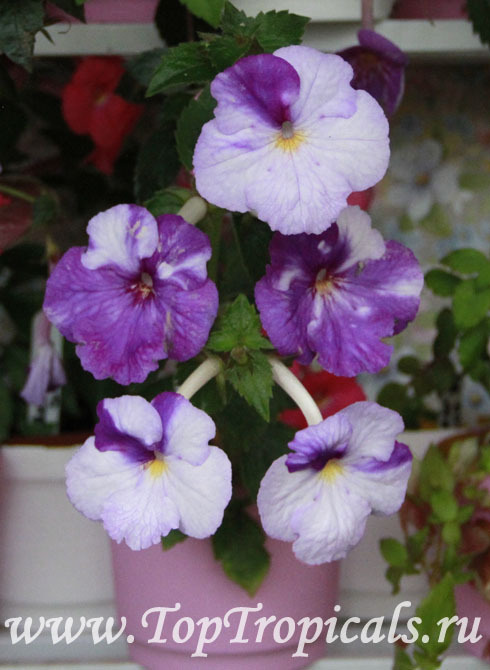 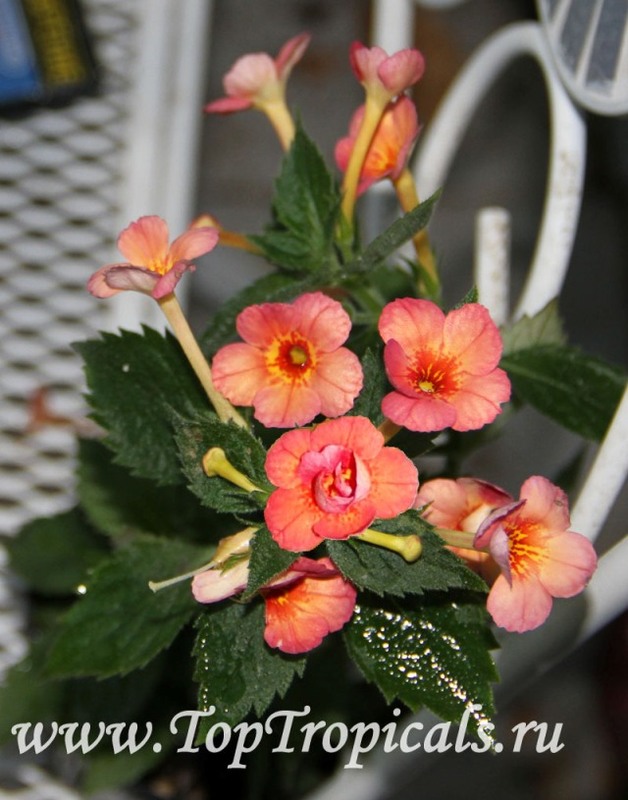 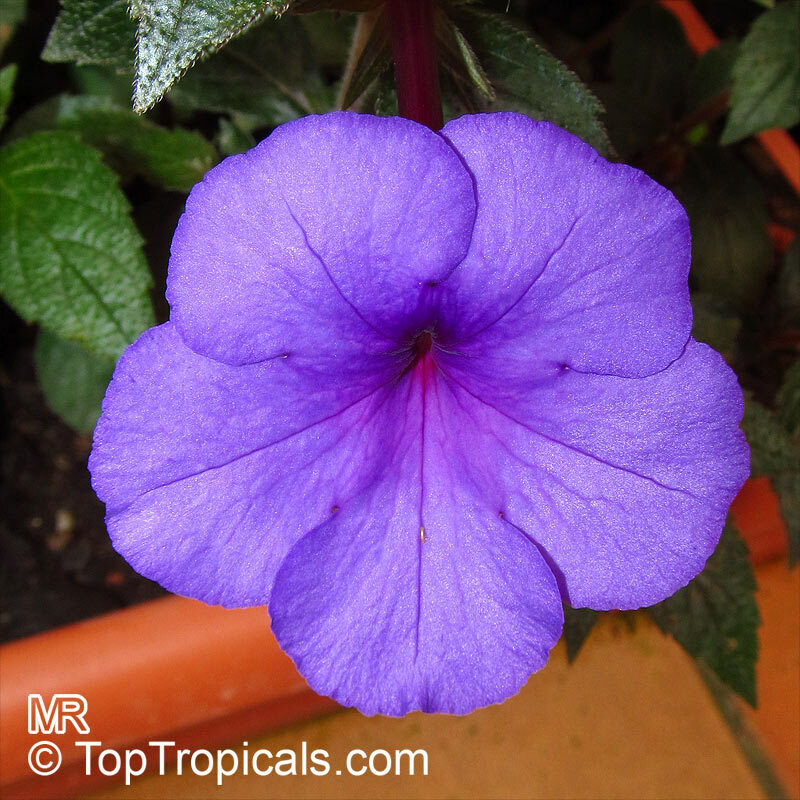 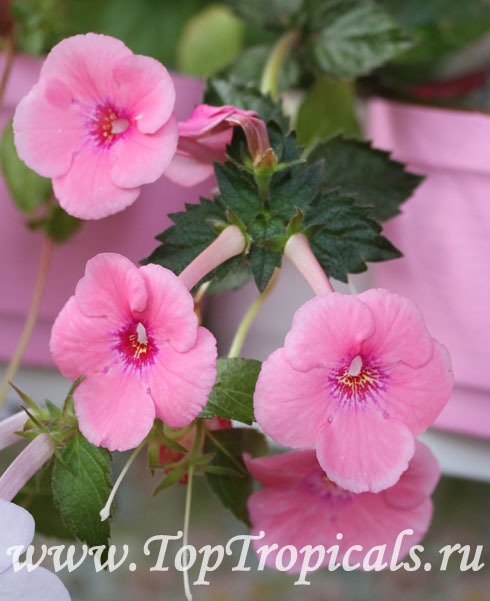 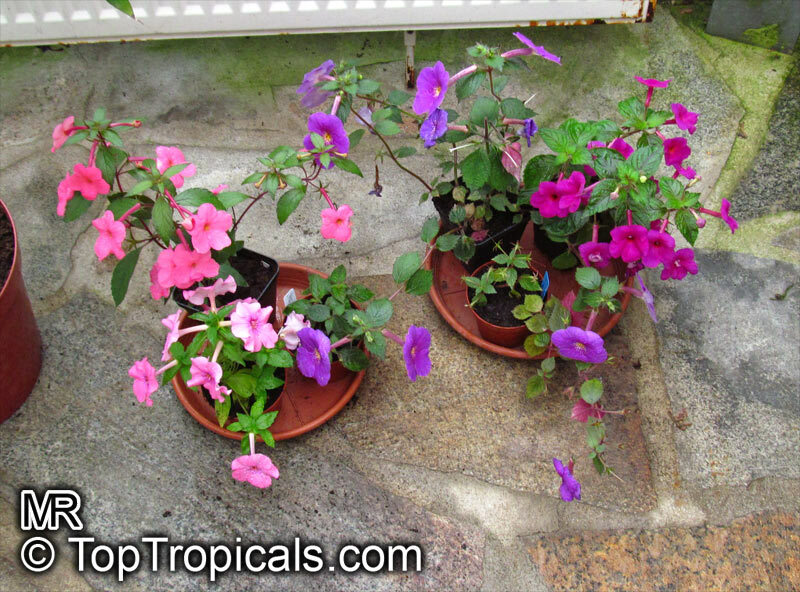 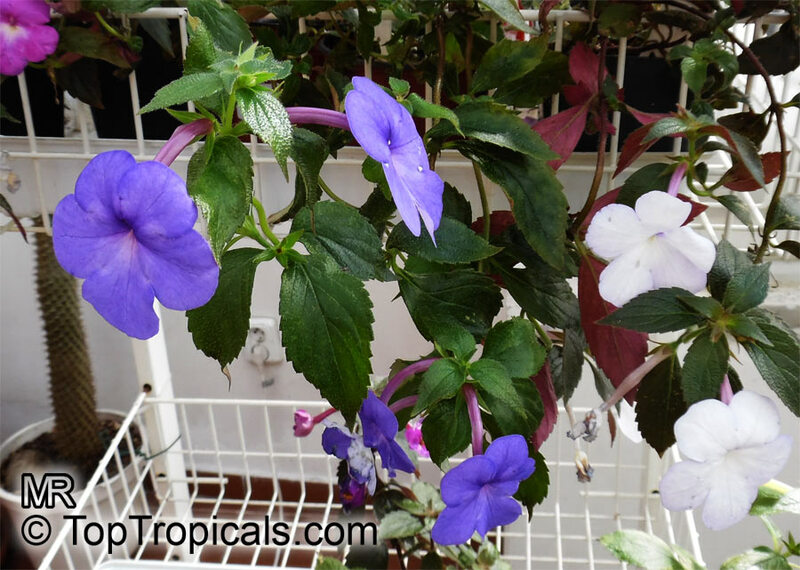 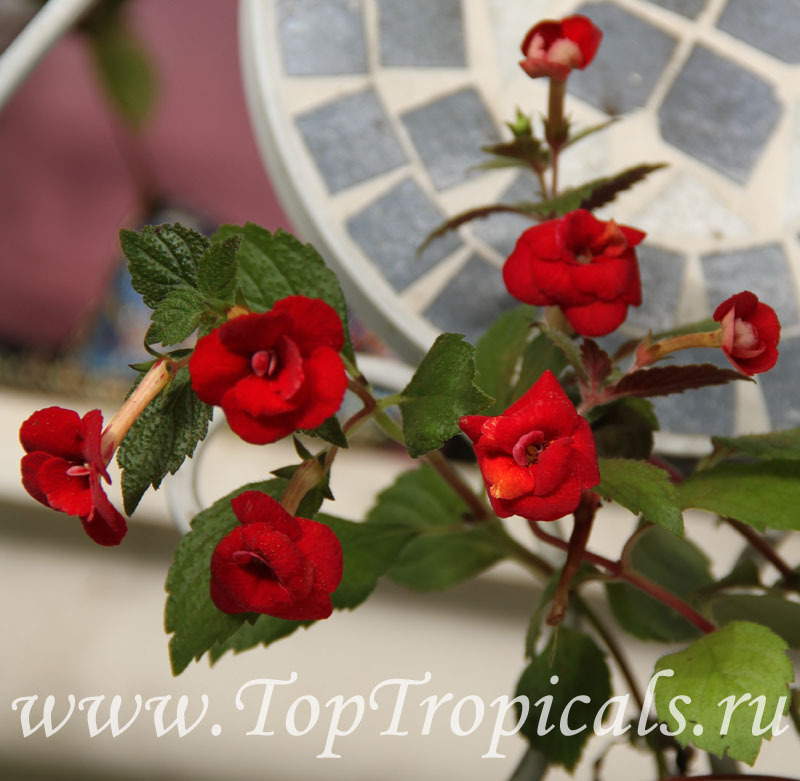 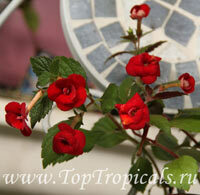 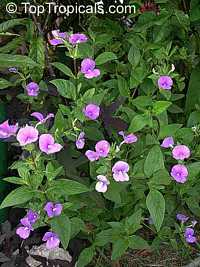 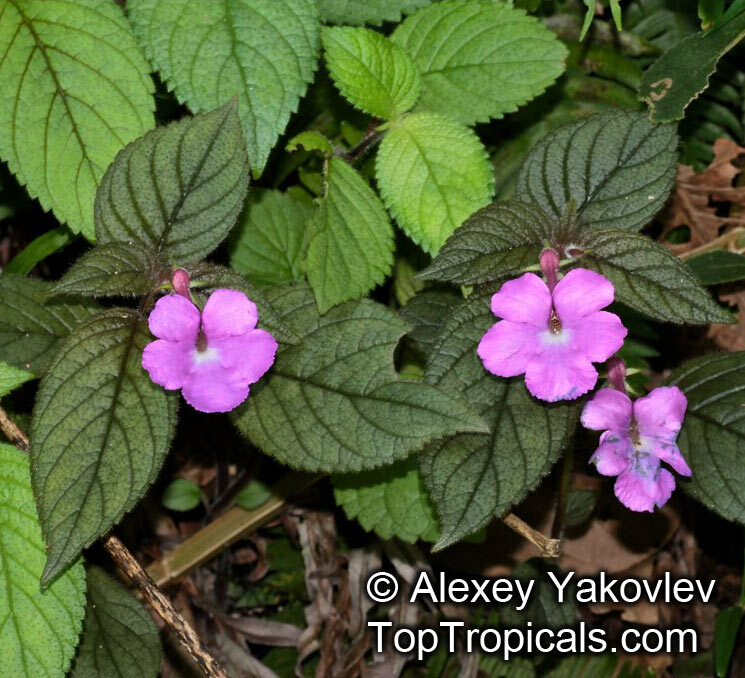 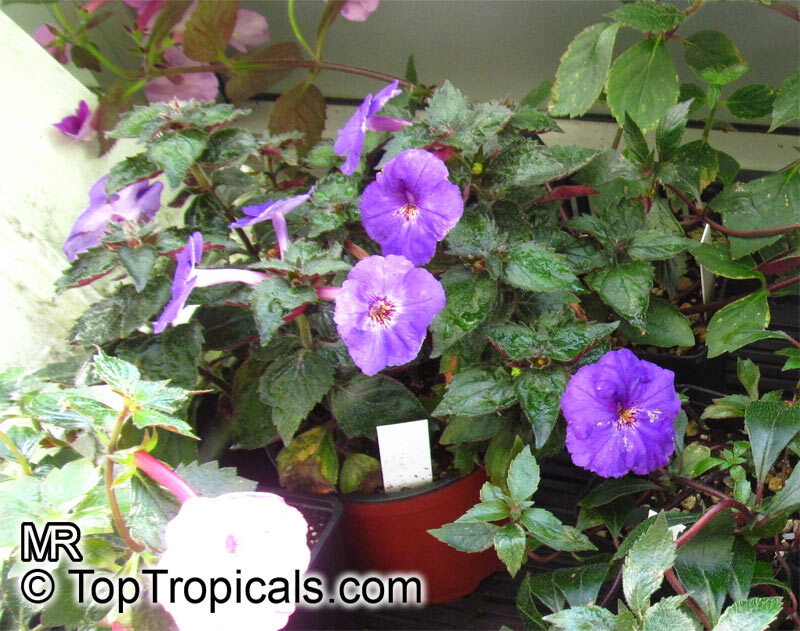 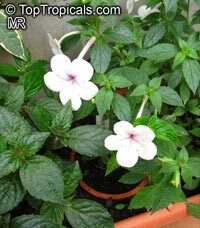 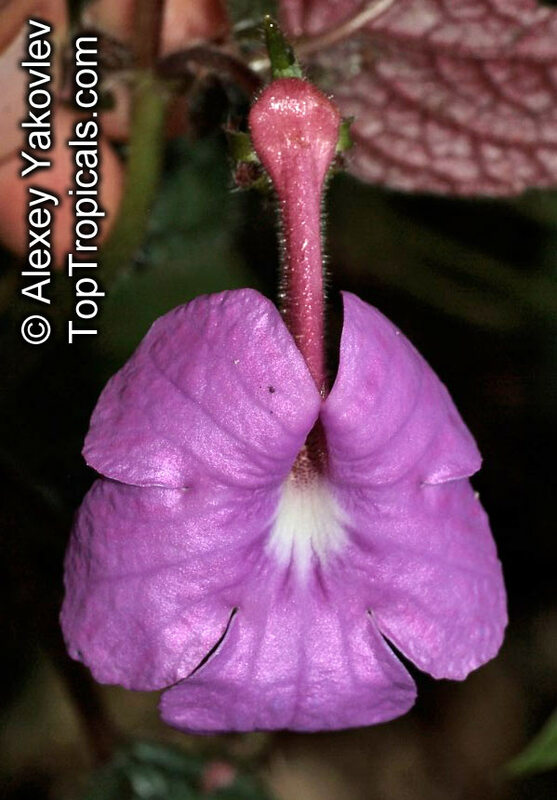 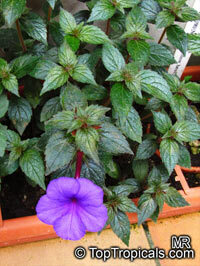 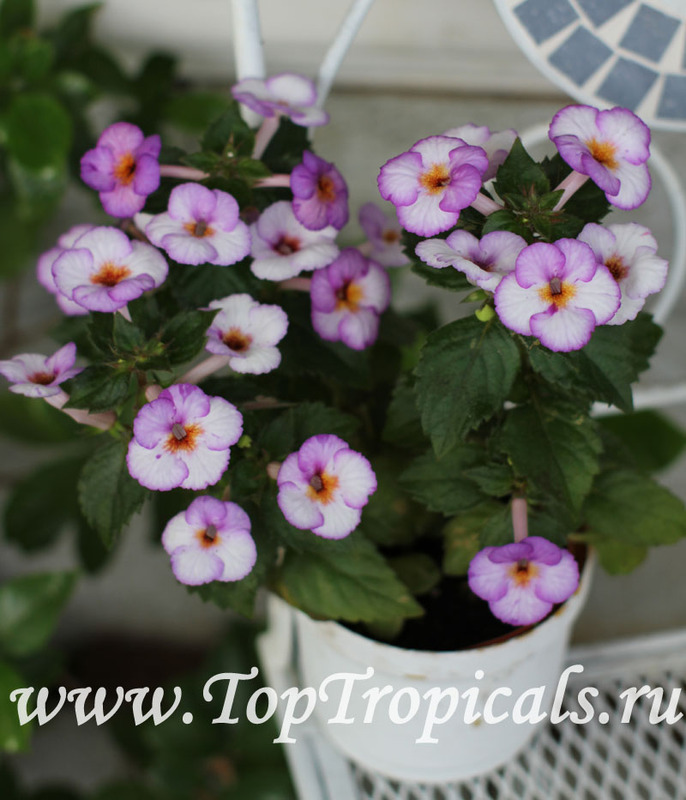 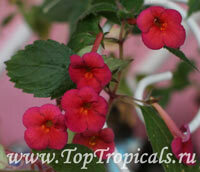 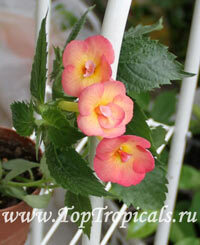 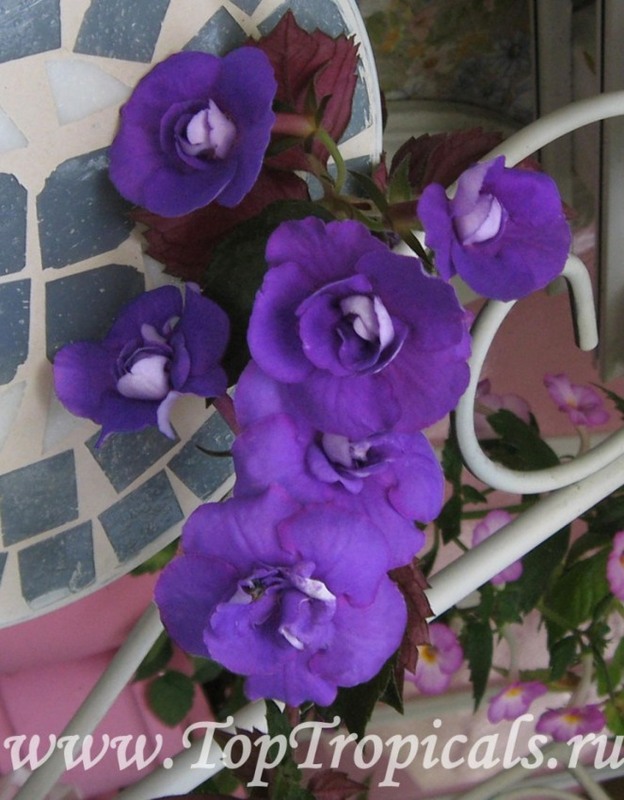 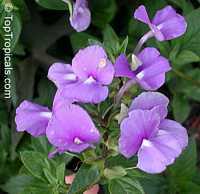 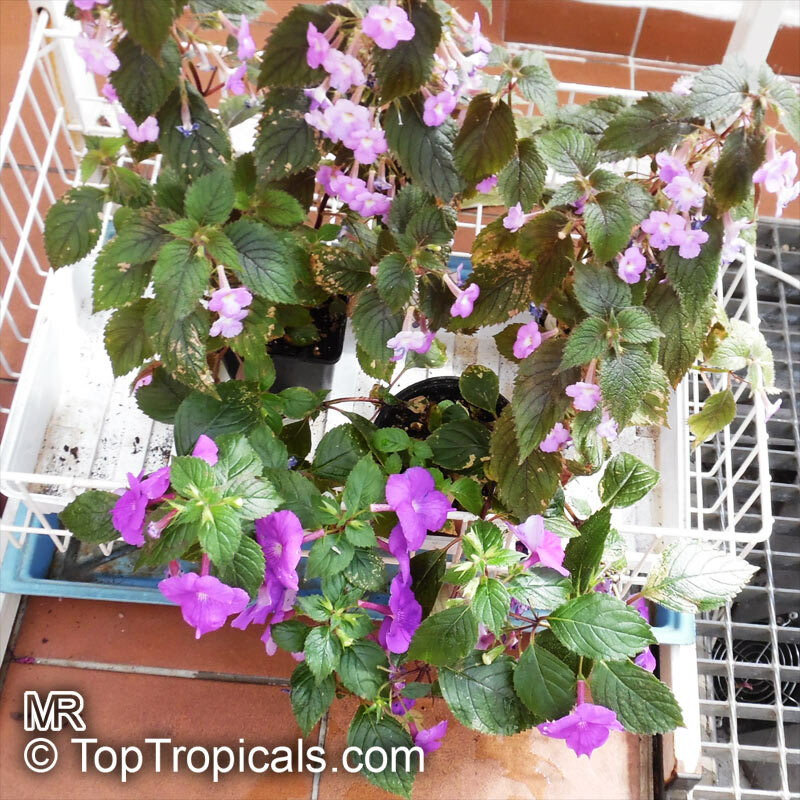 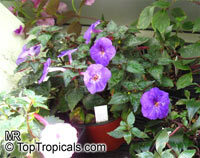 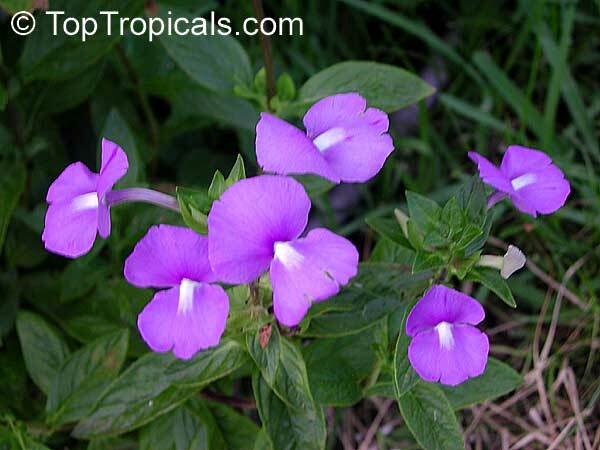 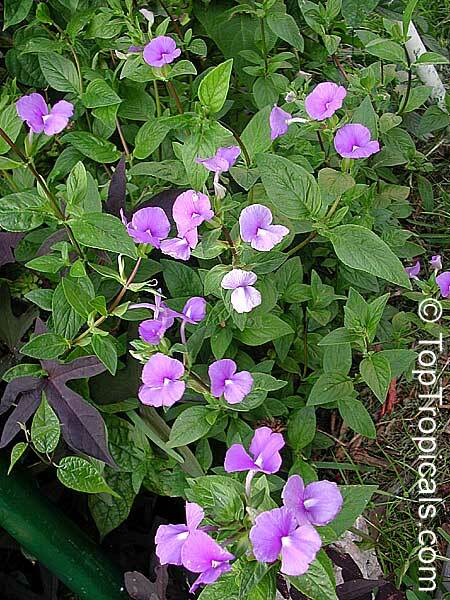 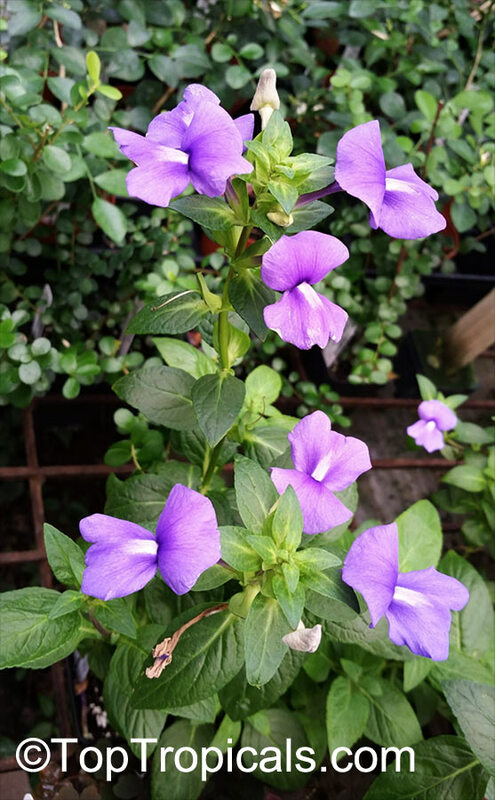 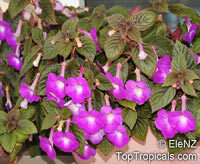 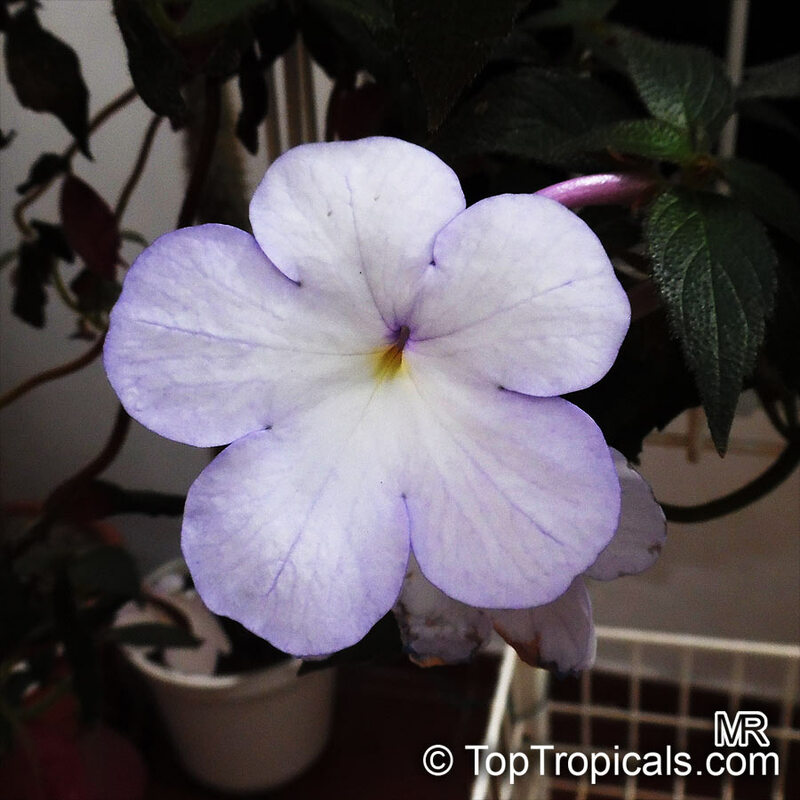 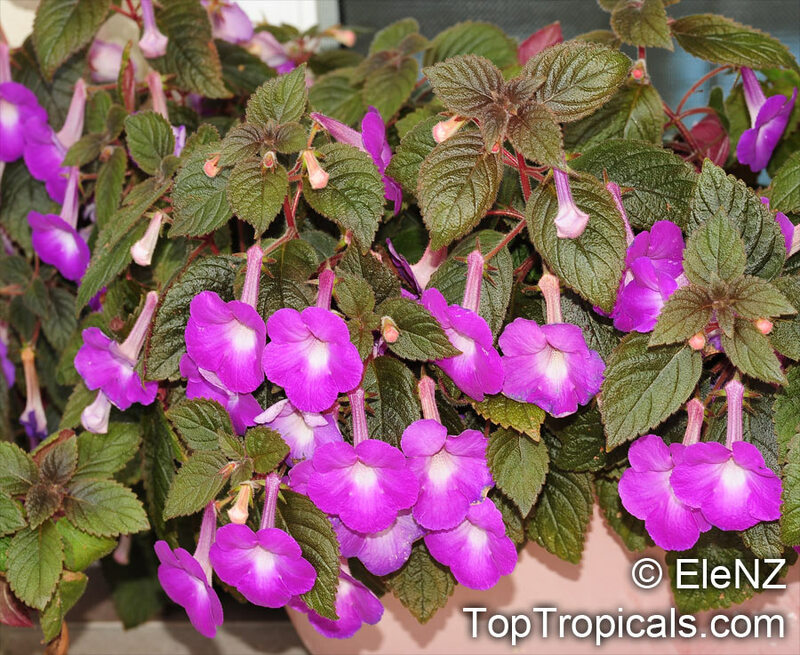 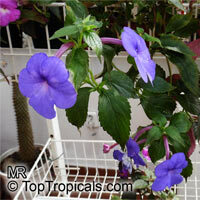 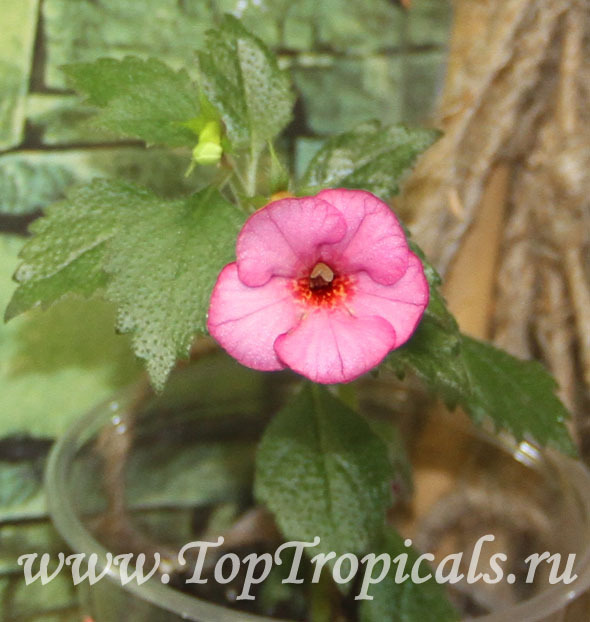 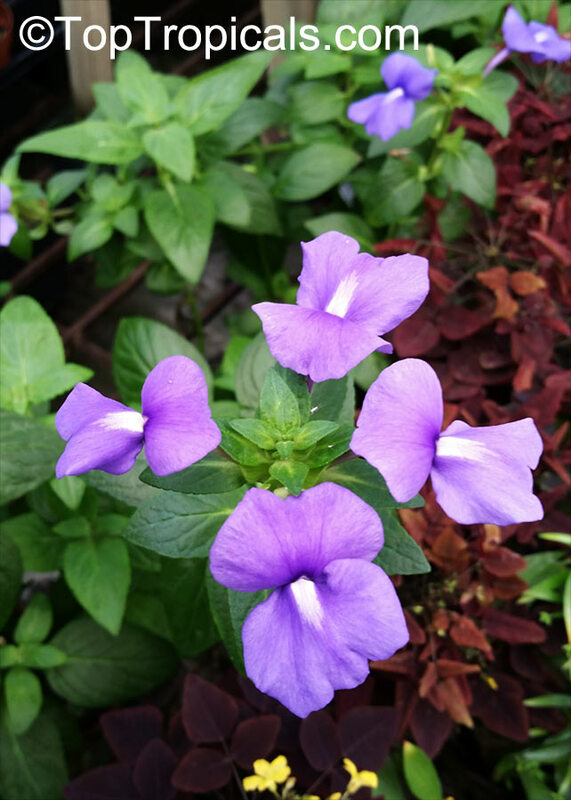 Achimenes species and hybrids are commonly grown as greenhouse plants, or outdoors as bedding plants in subtropical regions. 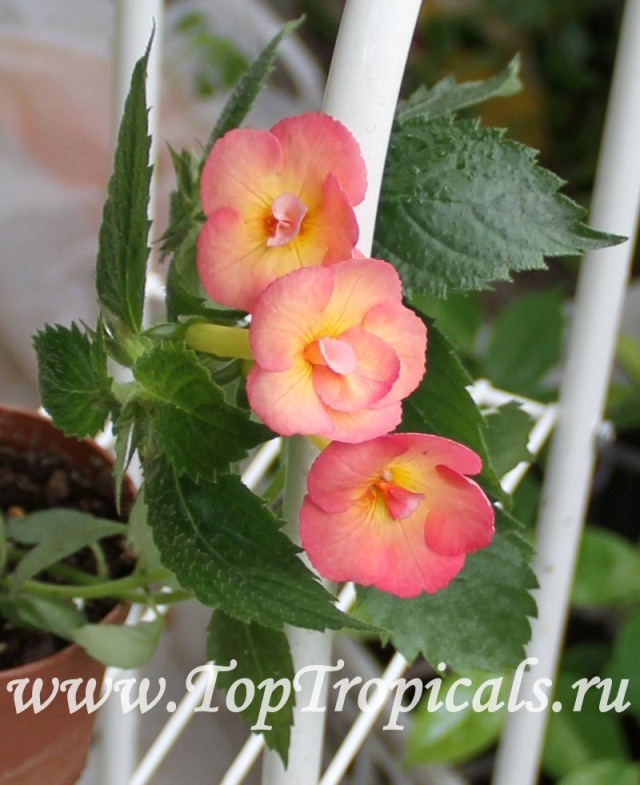 The species have been extensively hybridized, with many of the hybrids involving the large-flowered species A. grandiflora and A. longiflora. 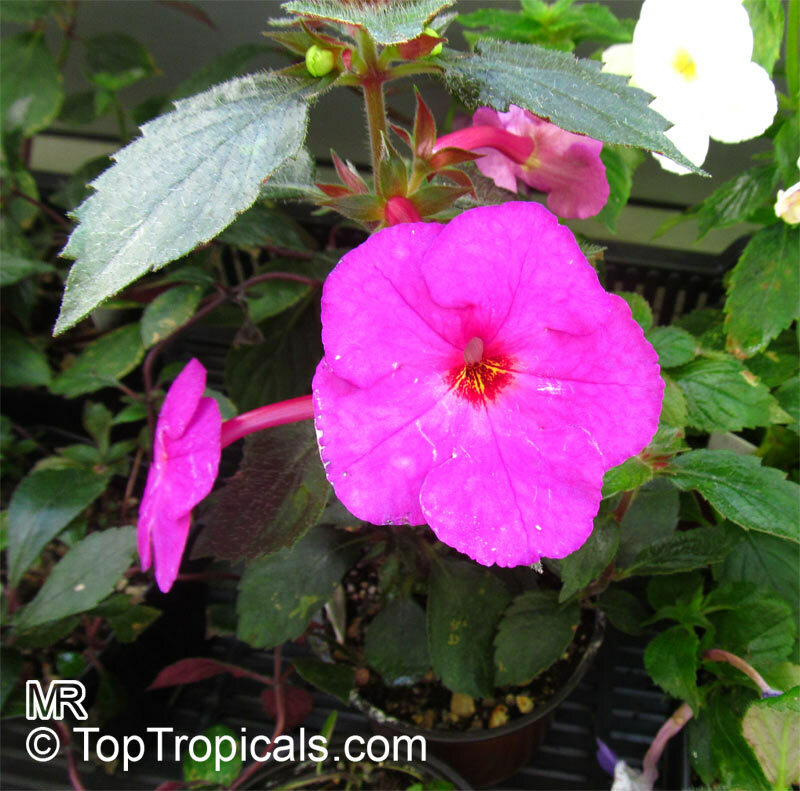 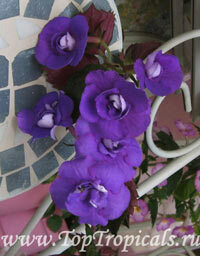 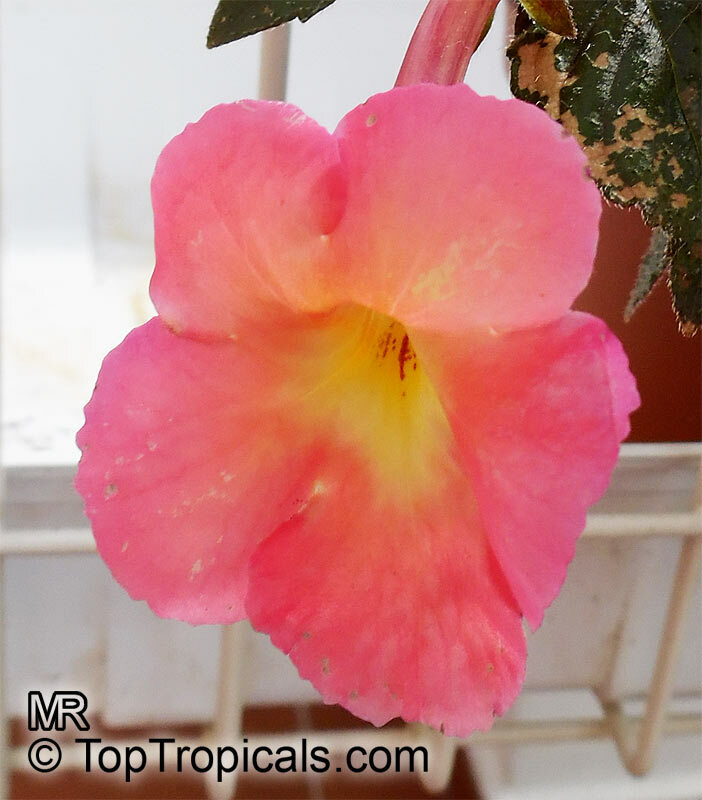 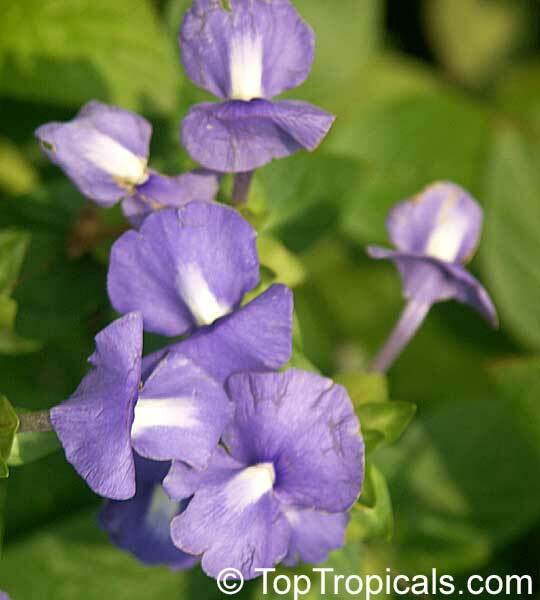 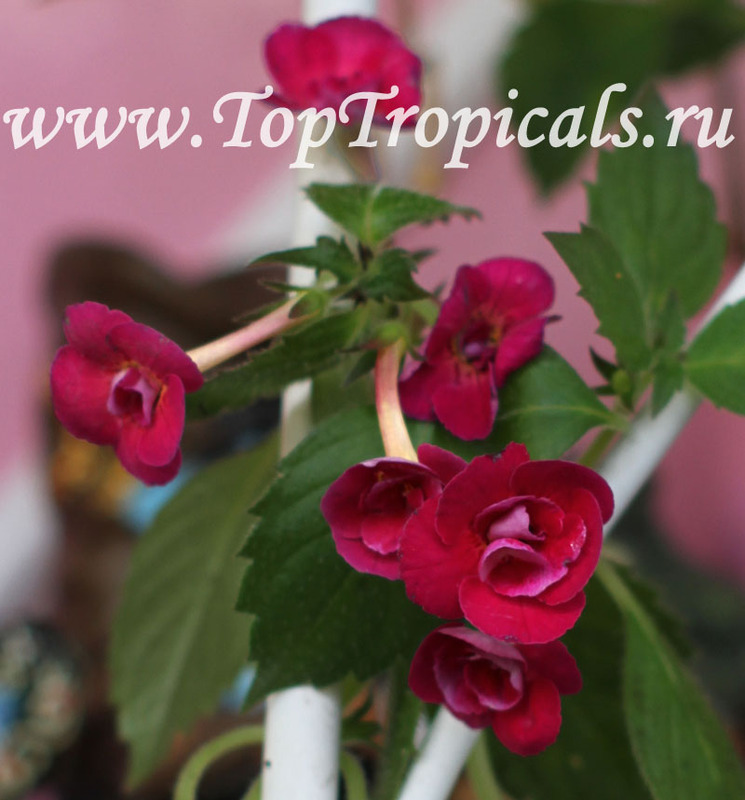 Many of the species and their hybrids have large, brightly colored flowers and are cultivated as ornamental greenhouse and bedding plants. 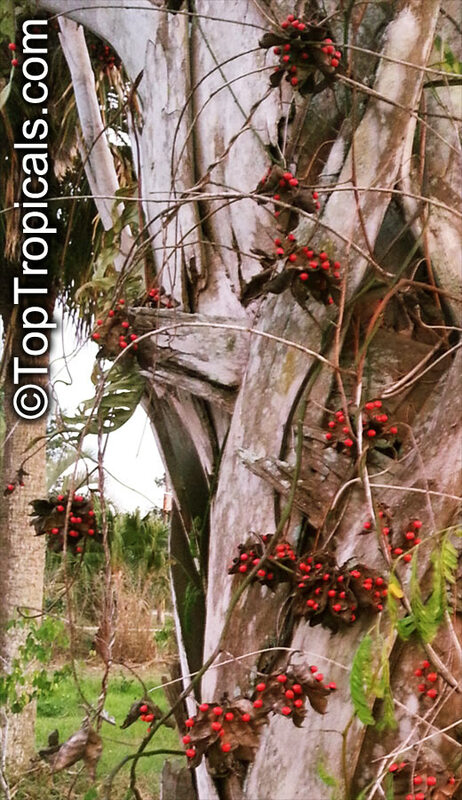 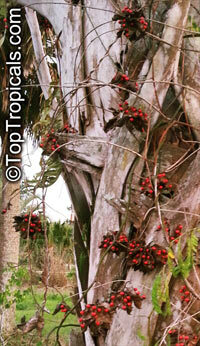 Acnistus arborescens is characterized as a shrubby, rapid growth tree that can attain ten or more feet in height. 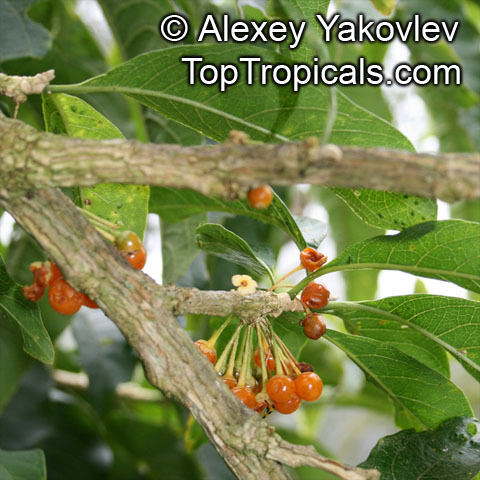 Small flowers are followed by little orange tomato-like fruits. 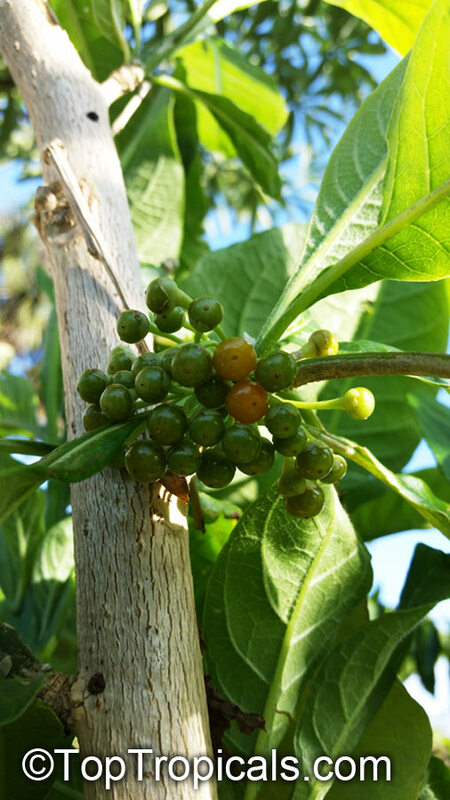 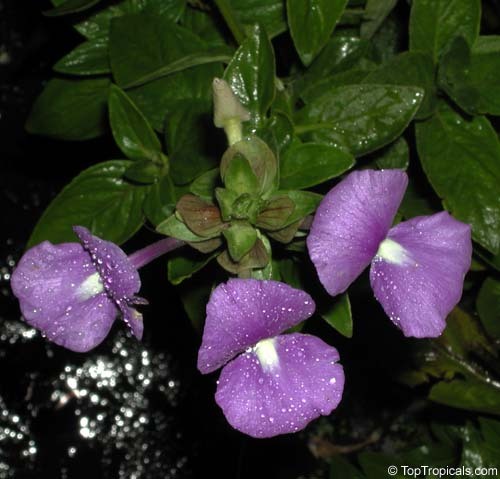 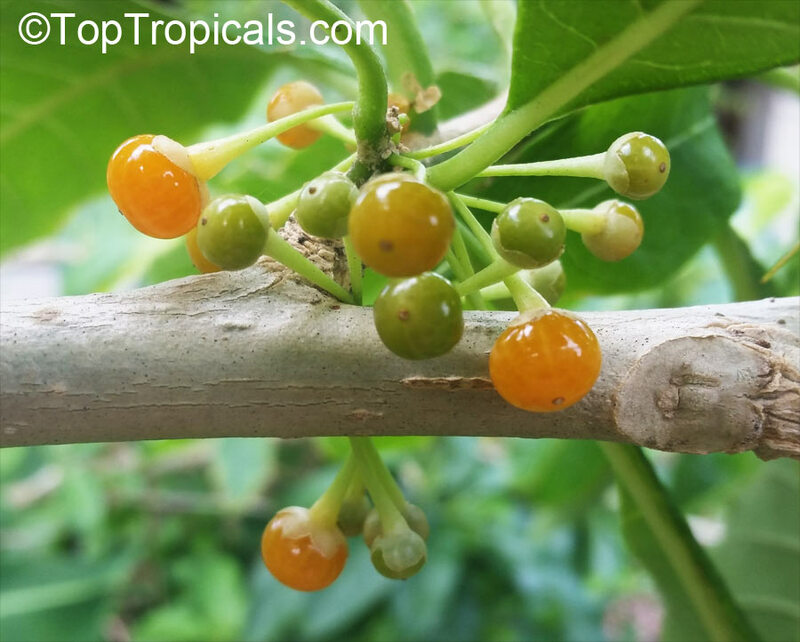 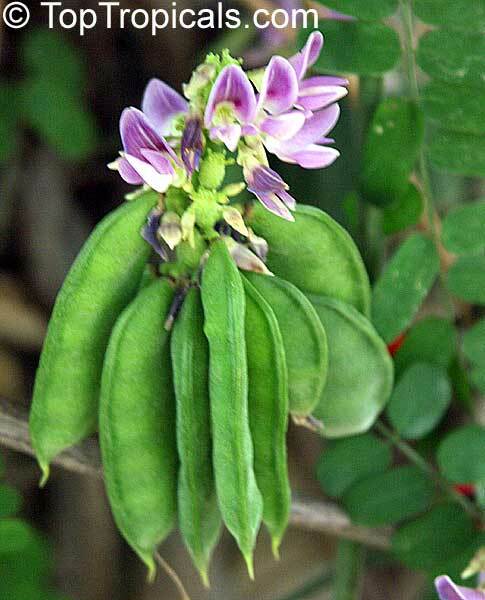 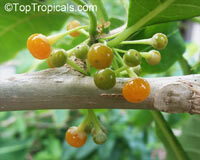 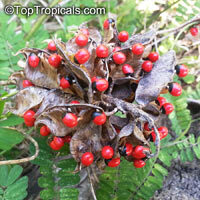 Extracts from this plant have historically been used by natives as an herbal treatment for cancer. 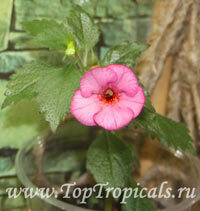 Hollowheart, Wild Tabbaco. 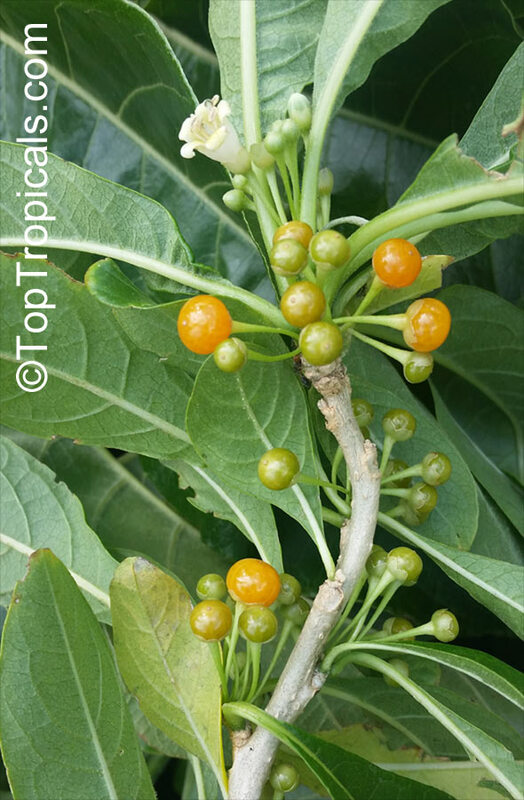 Shrubby, rapid growth tree or large shrub similar to Brugmansia in growth habit. 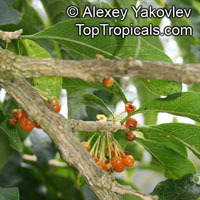 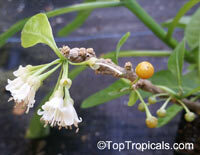 Small flowers are followed by little orange tomato-like fruit. 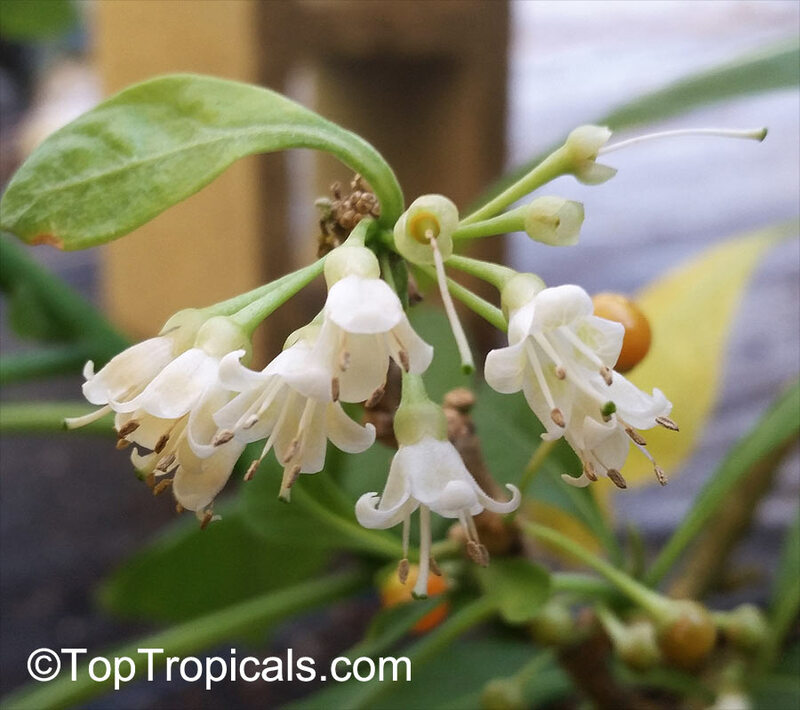 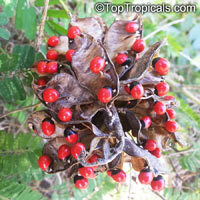 Extracts from this plant have historically been used by natives as an herbal treatment for cancer. 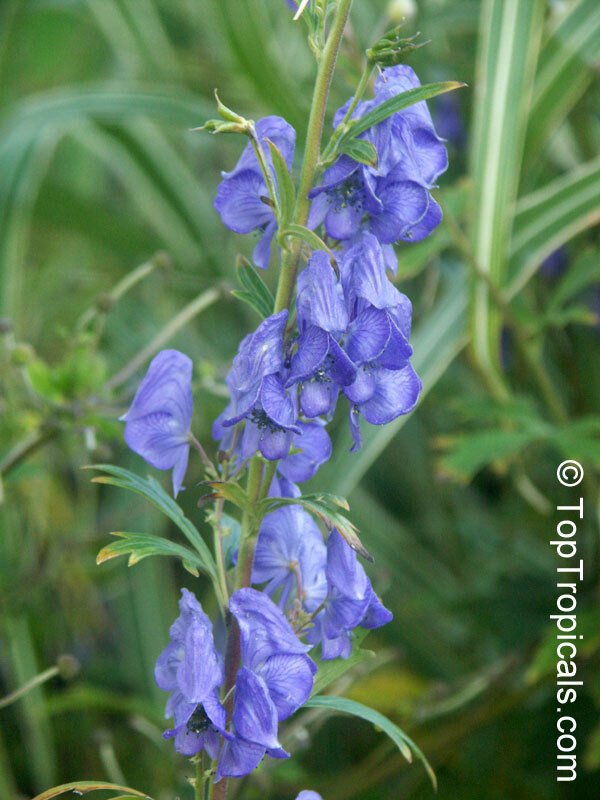 Different Aconitum species (and their varieties) scattered across temperate regions of globe. 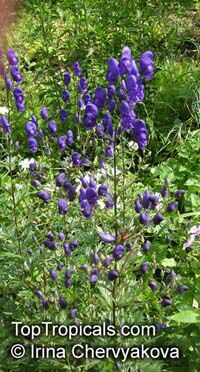 These are handsome plants, the tall, erect stem being crowned by racemes of large and eye-catching blue, purple, white, yellow or pink zygomorphic flowers. 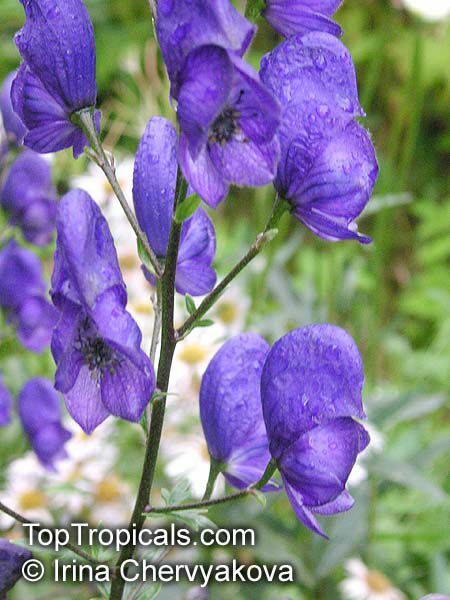 Aconitum is grown in gardens for its attractive spike like inflorescences and showy flowers. 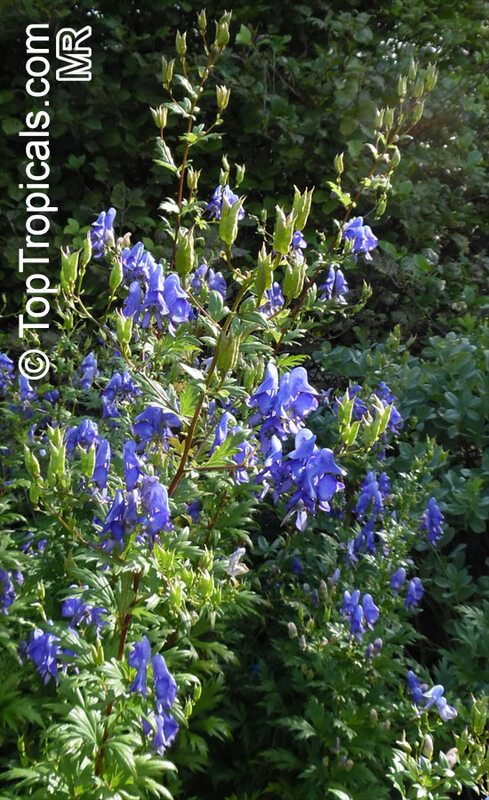 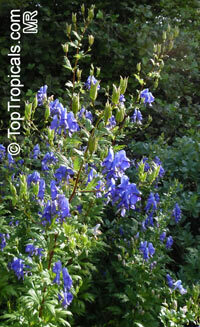 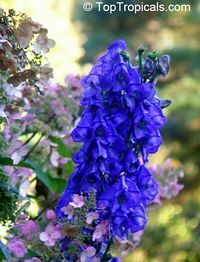 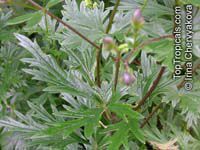 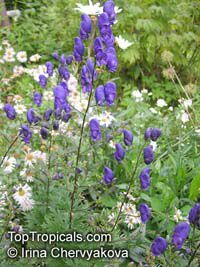 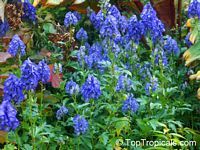 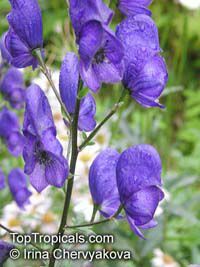 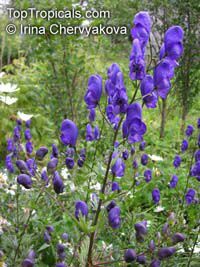 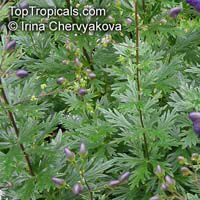 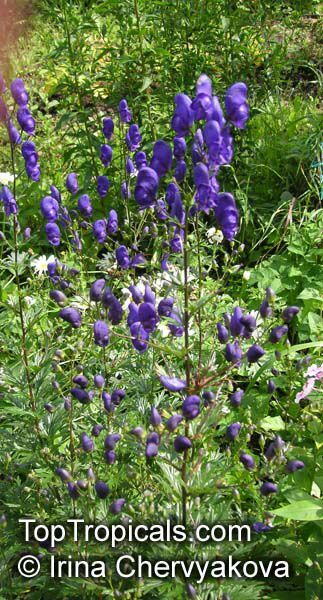 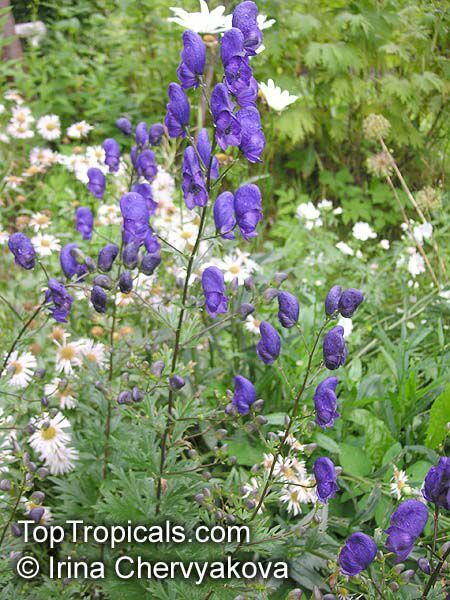 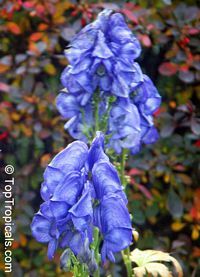 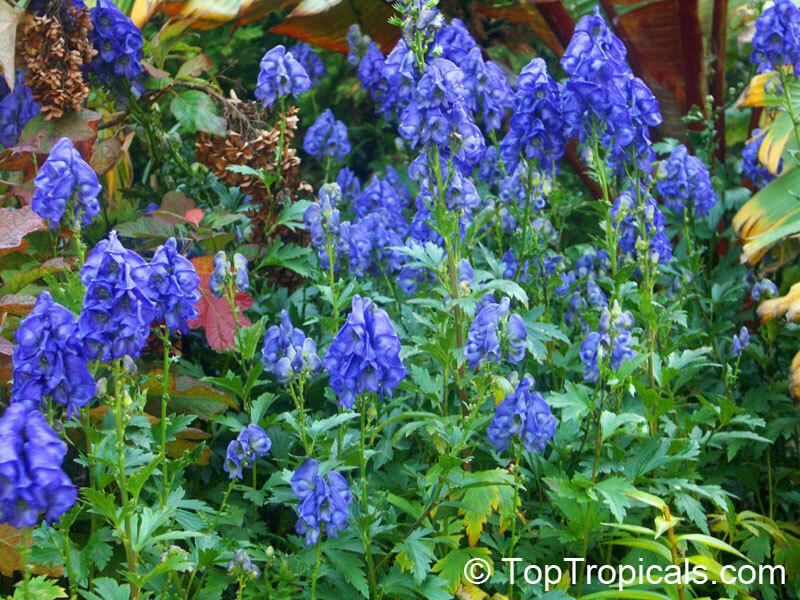 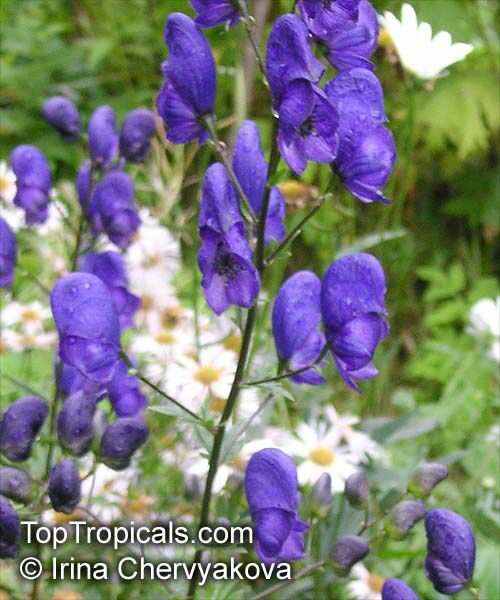 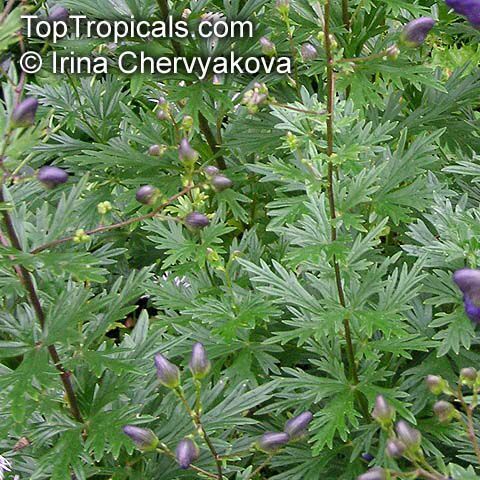 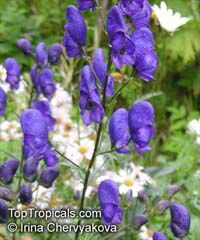 All Aconitum plants contain poisonous alkaloids that can, in sufficient quantity, be deadly. Man has used Aconitum as a medicine and poison for thousands of years. 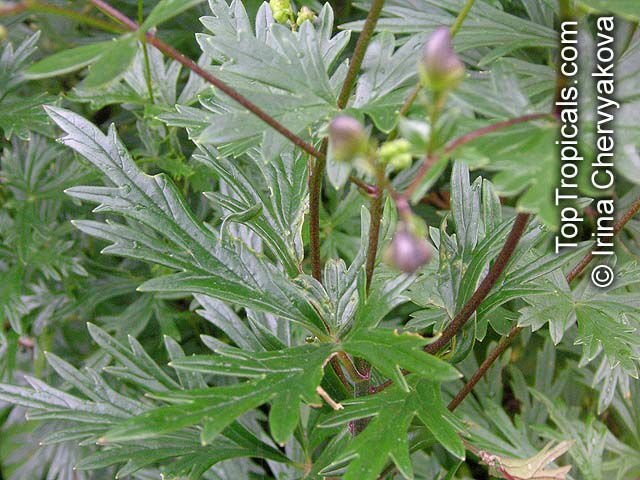 Outside Europe it was widely used for its medical properties.